How to choose the right guide. How do you pick the right fishing guide? I talk with all my clients about how they found me, how I compare to other fishing guides they have been with and what they like and don’t like about guides. Here are some things that can help you find the right and credible fishing guide. Finding the right, credible and qualified guide can be a little hard with all the info out there these days. If you want a great guide, not just a good guide; take your time and do some homework. It will payoff when you hit the water with your guide. I’m not just talking; drag screaming, rod bent all day long fishing guide. 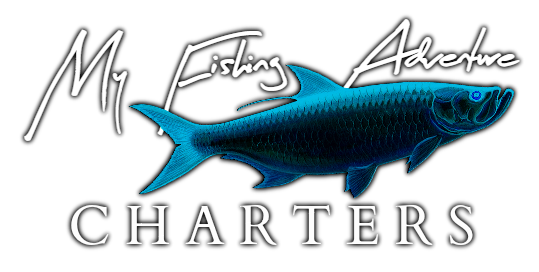 I’m talking a safe, patient and knowledgeable fishing guide; that will show you a great day on the water. It’s not always about catching fish all day long; it’s much more than that. Is the guide credible and qualified for the fishing you want to do? When I’ve talk to clients about what they like to see in a fishing guide, here are a few things that came up. (Full time guide), people like to see this when looking for a guide. Full time guides that are typically on the water daily know the fishing trends for that area well and can better plan a good day of fishing for the date you choose based on previous days/weeks experience. If there is a specie or specie’s you would like to fish for let the guide know that. If a client does not tell me what they want to fish for; I put them on the best bite we’ve had lately. Have a open mind, if the guides tells you that the fish you want to chase is not biting good; let them know if you still want to try for that species or try what he/she recommends. Does the guide have the gear you desire to fish with? I mostly bring spinning tackle for my charters, but I have baitcasters and fly gear as well. I always ask my clients if they would like to use baitcasters and/or fly gear before our trip. If you would like to bring your own tackle, let the guide know that. Most guides don’t mind, but let them know you are bringing your fishing gear and ask what they recommend you bring. If you want to use fly gear ask what weight fly rods, lines, tippets and patterns that are working for what you will be fishing for. What does the guide provide for your trip? Do you need a fishing license or does the guide provide a license. Here in Florida we have blanket fishing license for the boat, which I have. Any clients that fish on my boat are covered under my license. Some guides chose not to get this license and there clients have got to get a fishing license. Other things to ask if the guide provides; ice, drinks, food and sunscreen; if you don’t know; ask, it won’t hurt. What should you bring on the trip? A few things I tell all my clients to bring is sunscreen, hat, camera, there food and drinks for the day. Ask if there is a chance of rain, you may need to bring a rain jacket. Don’t’ forget during cooler mouths; it’s always cooler on the water. Dress in layers during the colder mouths, the wind can make it much cooler on the water. Price; this can be a hard one to break down, what is the right price? With a lot of people price usually the first consideration when hiring a guide, but be careful! You get what you PAY FOR!!! Be weary of guides that charge considerably less than other local guides. Running a credible guide service is costly for the guide. Fuel, insurance, tackle, ice etc etc….I could go on and on about expenses! What I’m trying to say is, most guides will work harder and go further to find fish for you; that charge the average or a little more. How many people can or should I bring on the fishing trip? Every guide is different on the amount of people that can come on a trip. It really depends on boat size, what kind of fishing you will be doing and what you want to get out of the trip. Some people just want to go fishing and others want to go to learn more about fishing than actually catch fish. Let your guide know if you are bringing kids fishing with you. Here again talk with your guide; tell them what you want to do and ask how many people can come for a quality fishing trip. Can I keep the fish I catch? Most guides will allow you to keep your limit of the fish you catch. There are a few things you need to remember, only keep the fish that you will use (eat). If you don’t know if you will eat them all, let them (fish) go for another day of fishing. There is nothing worst as a guide; we get back to the dock with a box full of fish and the customer does not want the fish. Most guides will clean your catch or give you info where you can get them cleaned locally. Does the guide guarantee that you will catch fish? All guides have bad fishing days from time to time, its fishing not catching don’t forget this! Some guides may guarantee fish, but the clients I’ve talked to with this experience say the better guides that they have fished with don’t guarantee fish. Don’t forget to tip the mate/guide. They have worked hard to show you a good day on the water. Ten to twenty percent is average but you make that decision; remember it’s not always catching but it is always fishing! I’ve said it and herd it a million times; “A bad day of fishing is better than a good day at work”! I really hope this will help you find a credible fishing guide for your next outing.